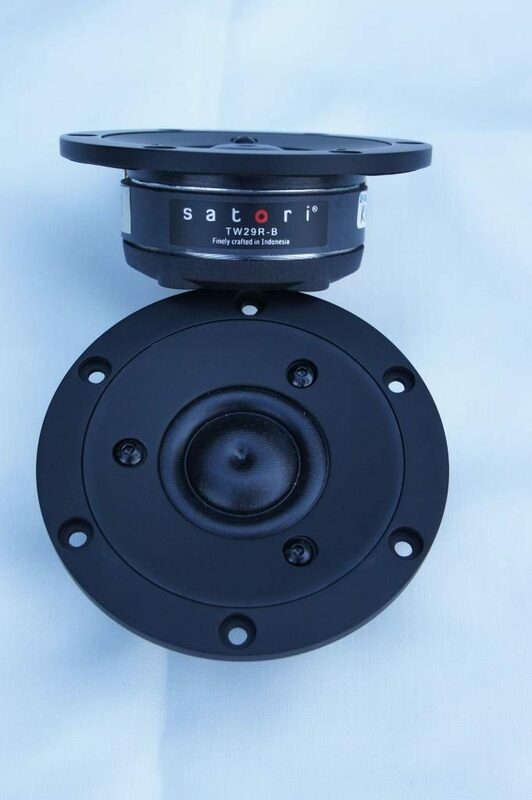 The SB Acoustics SATORI TW29R-B is a 4Ω coated textile ringe dome tweeter using a 29mm voice coil together with a dual copper cap pole piece. 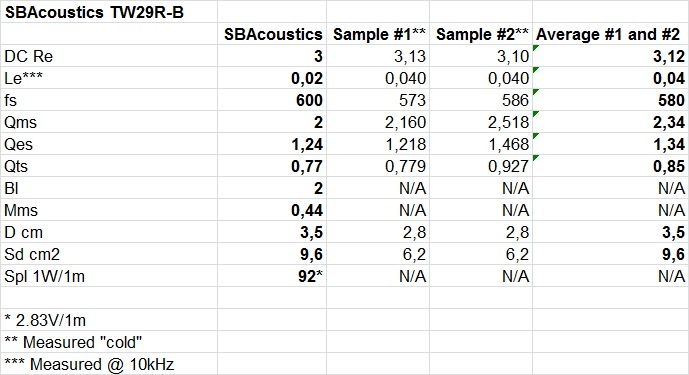 The resonance frequency is almost identical as the official specification. Minor differences between the two driver samples. The two driver samples have almost identical frequency responses up to about 13kHz. 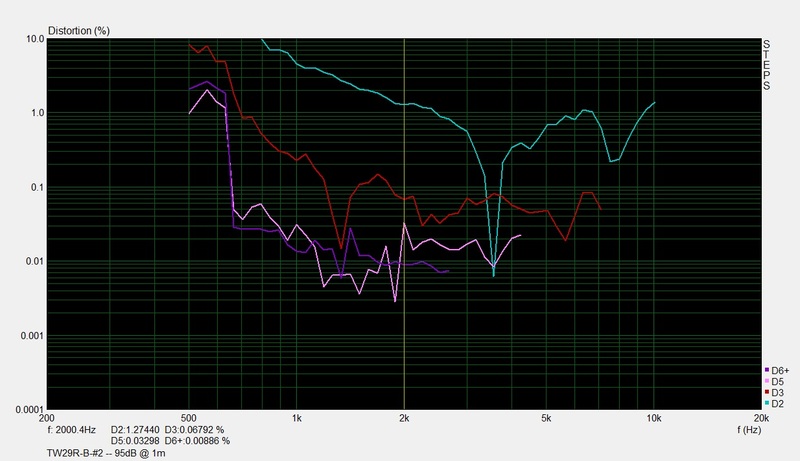 The on-axis measurement shows a rising frequency response above 9kHz, while the 15deg off-axis measurement shows almost a flat frequency response between 2-20kHz. 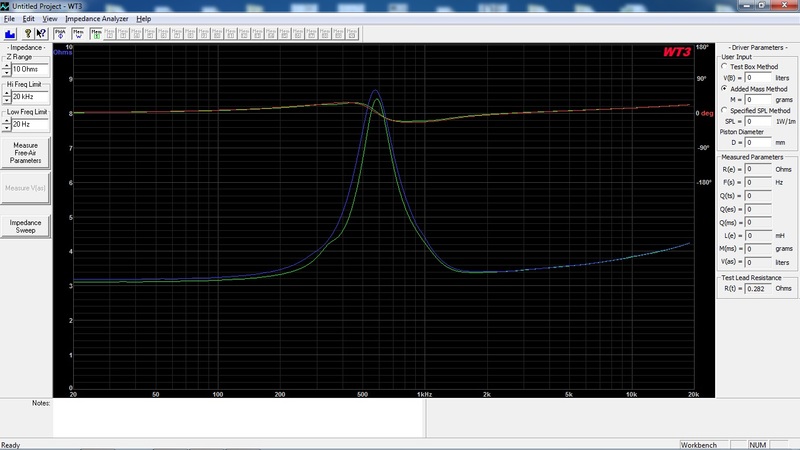 Very low odd-order distortion profile down to 1kHz, but at the same time a rapidly rising distortion profile below 3kHz of the relatively harmless second-order distortion.